In this post we’re going to talk about how to stream to Twitch and YouTube at the same time. We’ll also cover how to stream to Hitbox, BeamPro, and much more simultaneously – and it’s completely free. One of the questions I get asked a lot is, “what service should I stream to?” The answer I give is usually Twitch or YouTube Gaming, but there’s a lot of merit in other services such as HitBox, BeamPro, and a few others. Usually my answer depends on what the goal of the streamer is, but with a the service ReStream.IO, there’s almost no reason you have to choose a specific streaming platform anymore. With ReStream.IO you can stream to over 30+ streaming platforms quickly and easily. The best part with a service like this, is that it won’t put anymore stress on your PC hardware or your bandwidth. You’ll basically stream your feed to ReStream.IO’s servers, which then sends your feed to all of the platforms that you choose. 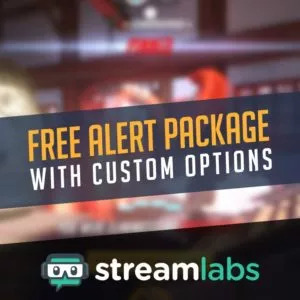 With their redesign and addition of their ReStream Chat application, that compiles all of your chat messages into one easy to use program, this is a must try for any new streamer. We’ll talk more about ReStream chat another post which you can read here. To start, let’s head over to ReStream.io and sign up for an account. Once your account is created you’ll be prompted with the ability to Add a Channel. Click Add Channel and you’ll be presented with all of the platforms that are supported. As you can see, it’s quite a list: Twitch, YouTube Gaming, BeamPro, and over 25 more. If you scroll down a bit you can even see the ability to add doubling as well as stream to a custom RTMP. For now, try adding in Twitch and Hitbox. Before I continue, I want to mention that I already have created accounts at Twitch and Hitbox, as well as the other services I plan to add, so if you don’t have an account with these individual platforms, make sure that you create each account before continuing. The great thing about ReStream is that adding a channel works the same for just about every platform. Click the service you want to add, hit connect, and then authorize it. This may require you to login to the platform. Once you’ve added one channel, you can click the Add Channel button again at the top right to choose additional services. For any new streamer – I’d recommend starting out with Twitch, YouTube Gaming, HitBox, and BeamPro. Once all of the channels are added in, you’ll notice that you can change your Stream Title (currently for YouTube and Twitch Only) right here. To stream toTwitch and YouTube at the same time we need to configure OBS Studio to stream to ReStream.io. To do so let’s select the server that’s closest to our location on the right side of our ReStream dashboard. In my case, I selected Dallas, Texas. We also need to copy our stream key. Go ahead and click inside the Stream Key box and copy this entire string of characters. If you ever need to reset your key, this refresh button will do that for you. With OBS Studio open, let’s go into the settings and click the stream tab. Under the service drop down, select ReStream.IO and then match the server to the one that you selected in the ReStream dashboard. Next, paste in your stream key. Hit Apply, and Okay to close the settings… and that’s it! Your other settings inside of OBS Studio can be left the same. These can be set to the same as if you’re streaming directly to Twitch – if you need more help on that, make sure to check out this video on this topic. Once I hit start streaming ReStream will attempt to connect to all of the services listed, and then show their status – such as connection, online, or offline. 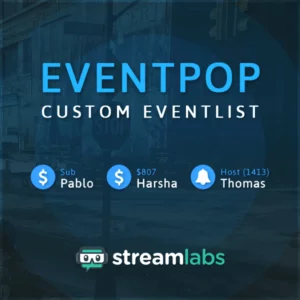 As I mentioned earlier in this post they also have a program that compiles all of your chat messages from each channel you added – we’ll be checking that out in another post in detail. Basically once you install the application, run it, and then login, you’ll see all your messages in one place – we can even add this into OBS Studio as well. For the last part of this post I want to address a quick concern of mine with using a service like this. In terms of reliability of ReStream, I’ve only had a short time testing out this service, and it’s been great so far. My test involved streaming to Twitch and YouTube at the same time for quite a bit. There is the possibility of it going down for maintenance, servers being overloaded, problems with platforms APIs, or other various reasons it may not work. In case of emergency – you may want to be prepared to connect directly to your platform of choice. I also noticed that sometimes it takes a bit of time to connect to all the services at once, so some kind of intro type screen is recommended until all of your channels are online. The delay actually seems quite reasonable, where it’s been around 8 to 10 seconds for my stream to be shown on Twitch or YouTube. Lastly, if you’re a partnered streamer with Twitch, you may not be able to broadcast to multiple platforms, as per your agreement with Twitch. If you’re not partnered, then don’t worry about this. If you’re looking to stream to Twitch and Youtube at the same time, then this is the service for you! Anyways, this program impressed me quite a bit. Last time I found something this easy to use and well designed was probably with Discord. Let me know in the comments below if you have any questions about setting this up, or even how your experience has been with it so far. Just purchased this and love it! Any chance we can get it updated to account for Bit Donations?